HomesByPasha keeps the clients’ information confidential. The client information is not sold to the third party. Shaheen Pasha believes satisfying the client needs is the main objective for her business model. Whether it is listing the house for sale or to help purchase dream house her market knowledge and experience benefits the clients. She takes on the role of a real estate consultant and advisor instead of sales person. Clients interest always precede her own interest. 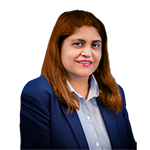 All REALTORs are not equal when it comes to providing professional services to their clients, Shaheen and her team thrives on conducting all transactions based on Customer Relationship Management propriety system that she has developed over the years to consistently deliver the best experience and service to her clients. Shaheen is passionate about real estate business her track record in the industry precedes her lustrous reputation. If you are contemplating to put your property on the market for sale, you should contact a competent REALTOR to handle the transaction. And just in case you are unsure of what to expect, below is a list of qualities that Shaheen offers to her highly revered clients. Honesty they say is a virtue. One that Shaheen Pasha possesses very much. Moreover, telling the truth is a part of the National Association of Realtors Code of Ethics. Building the trust with client to deliver what she promises is most important to her. To succinctly put, this is probably the most important skill that a realtor should possess and this is a summary of their job – to be the voice of the seller. Therefore, a realtor must possess strong negotiation skills. They must be able to always seek out the best deal that they can secure for their clients. Shaheen’s strong negotiation skills mean that she always puts the interest of the seller first and gets the best possible price. Shaheen Pasha is a dedicated and full-time realtor. For her, the passion to work is fuelled mostly by her love for her job and she transfers that same energy and enthusiasm in her dealings with clients. Shaheen’s track record lauds her achievements and experience in the industry; she is your go to Realtor! are still even in the real estate business. In addition, your real estate agent should be able to adapt to your preferred form of communication. Shaheen is open to all forms of communication with her clients. In addition, she allows the client to propose how and when they would like to be contacted. It is quite true that some realtors are still stuck in the medieval times and are still using the same old real estate market methods to sell or buy houses for their clients. Some real estate agents do not even use emails to submit bids and offers. A realtor that does not adopt modern technology like emails, digital signatures, Drop Box, social media and other modern real estate tools would likely mean that they are not very efficient home sellers. Again, how good are the qualities of their property listing pictures? If they look poor and blurry, you should reconsider your realtor choice. Not to mention, Shaheen has always recognized the importance of technology in the real estate industry and she has always increased her efficiency in the market by adopting a host of modern technology to be of even better service to her clients. Home staging is act of preparing a private property to be listed for sale in the real estate. The preparation is aimed at staging the home so it appears much more alluring to potential buyers as well as increasing the probability of a swift and more profitable sale. Shaheen is expert in staging and knows how to make the house more inviting and appealing for potential buyers.